The Groundwater Management District Association (GMDA) is composed of local groundwater management districts in several Western, Midwestern, and Southern states. At our Annual meeting we have presentations from noted experts in the fields of hydrogeology, geology, flow meters and different management strategies. This provides us with a forum to exchange ideas on the different approaches taken by other States. For example, the primary issue in Kansas, Colorado, and Texas is groundwater quantity, while in Nebraska it is groundwater quality and quantity. In Mississippi and Florida, Districts are responsible for the joint management of surface and ground water and subsidence is the major issue in Louisiana and parts of Texas. Some of the Districts have developed unique projects in education and management to preserve our groundwater resources for future generations. California has been experiencing heavy rains during the early months of 2017. In fact many consider the drought of the last few years to be broken. Check out the current drought conditions at the National Drought Mitigation Center at the University of Nebraska -U.S. Drought Monitor. The GMDAwiki.com site has temporarily been shut down. The plan is to incorporate these files into this site to streamline access. Wayne Bossert (past secretary of GMDA) created the GMDAwiki site which has an excellent history of our organization. For upcoming NWRA Conference locations and dates check the NWRA website. The National Ground Water Association (NGWA) reports the US Forest Service proposed directive on groundwater was formally withdrawn on June 19, 2015. "The directive was criticized by some in Congress who perceived it as federal government overreach in state issues." The 2018 GMDA Annual Conference will be held in Baton Rouge, Louisiana in mid-January 2018. The 2018 Annual Conference is being organized by: Anthony Duplechin of the Capital Area Ground Water Conservation Commission in Louisiana. Anthony is the new Vice-President for GMDA. The conference location and final date for the Annual Conference have yet to be announced. The 2018 GMDA Summer Session will be organized by the Texas Groundwater Management Districts. The location and date have not yet been announced. The Districts use steel tapes to measure groundwater levels in wells as part of our monitoring networks. Steel tapes with the raised markings are preferred due to their ridge construction, ability to retain chalk and give an accurate reading. Steel tapes are still available from Fastenal, but these do not have the raised markings along their entire length. Some Districts are now using fiberglass tapes as an alternative. See "Measuring Groundwater Levels" for more information, which is also located on the "Association Update" page. 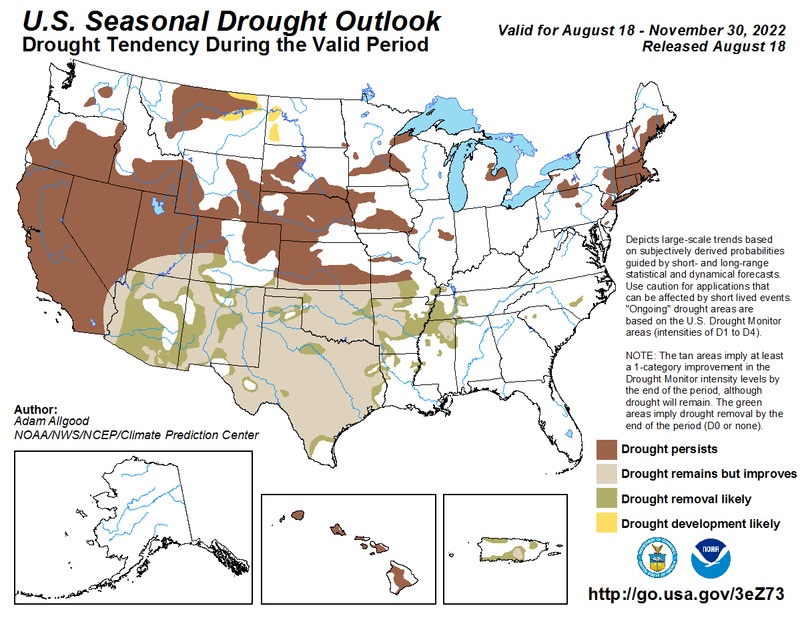 Current drought conditions are available from the National Drought Mitigation Center at the University of Nebraska -U.S. Drought Monitor. News on the current drought situation in California is available on the Association of California Water Agencies (ACWA) website. Spanish Water, Anglo Water. / Texas A&M University Press, 2009. / Charles R. Porter Jr.